The castle of Mezzatorre has an ancient and fascinating history. The name “Mezzatorre” derives from the presence of an ancient watch tower remained unfinished (from here “Mezza”) and built between the sixteenth and seventeenth century by the Aragonese as a watchtower. It was enlarged in the eighteenth century by the dukes of Rancidello. In the thirties, the tower was used as a pension until one of the owners was Luigi Patalano, a distinguished scholar, politician and poet. Founder of political and cultural magazines, he transformed the tower into an active cultural cenacle. Patalano also built “La Colombaia” in the same park as Mezzatorre, just a short walk from the hotel. 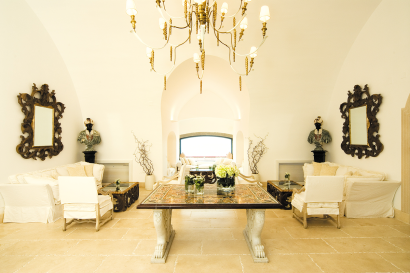 After being owned by Baron Fassini, an educated aristocrat, elegant and lover of good life, the beautiful villa was bought in the 50s by Luchino Visconti, the eclectic Italian movie director, who brought an atmosphere of fruitful culture to the island. The centrepiece of the hotel remains the old watch tower which has been renovated without altering the original design. This unique history gives the hotel a sense of charm, combined with contemporary luxury. The tower now houses many suites facing the deep blue Mediterranean Sea, as well as some rooms and the renowned Spa & Beauty Centre, which is located on the two lower floors offering special treatments based on the hotel own thermal spring water as well as traditional treatments, massages and facials. A touch of class is reflected in the elegance of Mezzatorre Resort & Spa, with its beautifully appointed rooms decorated in clean Italian style. 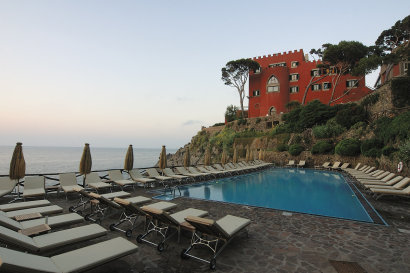 Not to mention the Mezzatorre Resort & Spa’s 2 restaurants and 3 bars, the gorgeous pool, the private bay and the stunning views. Mezzatorre Resort & Spa is set in one of the most beautiful and untouched areas of the island, surrounded by Mediterranean vegetation. It rises majestically on a promontory, offering unspoiled once in a lifetime views over the Gulf of Naples all the way to the Vesuvio. Located close to the Villa ‘La Colombaia’, once owned by the famous film director Luchino Visconti and to the Botanical Garden ‘La Mortella’, founded by the British composer Sir Willam Walton, two wonderful places to visit, our resort is the perfect gateway to visit the island. Here at the Mezzatorre you will find all the facilities you need for a relaxing, refreshing break. Choose from the activities available, which include: complimentary Shuttle service from and to the nearby pretty village of Lacco Ameno – outdoor heated seawater pool – outdoor tennis court – fully equipped fitness room – jogging tracks – music entertainment. Also we can arrange for other activities as diving – private motorboat tours – excursions to Naples, Capri, Sorrento, Positano, Amalfi. In addition to this you can of course choose to relax on one of the terraces surrounding the outdoor pool and our private bay and go swimming in the ocean accessing directly from the private little pier to one of the most charming bays on the island. Children are welcome but no special children program is available. The Mezzatorre welcomes guests in a stunning setting without equal. The 57 rooms and suites are located either in the old tower and the cottages, set in a large park of 7 hectares, surrounded by the Mediterranean maquis and overlooking the sea. Sleeping at the Mezzatorre is a dream. 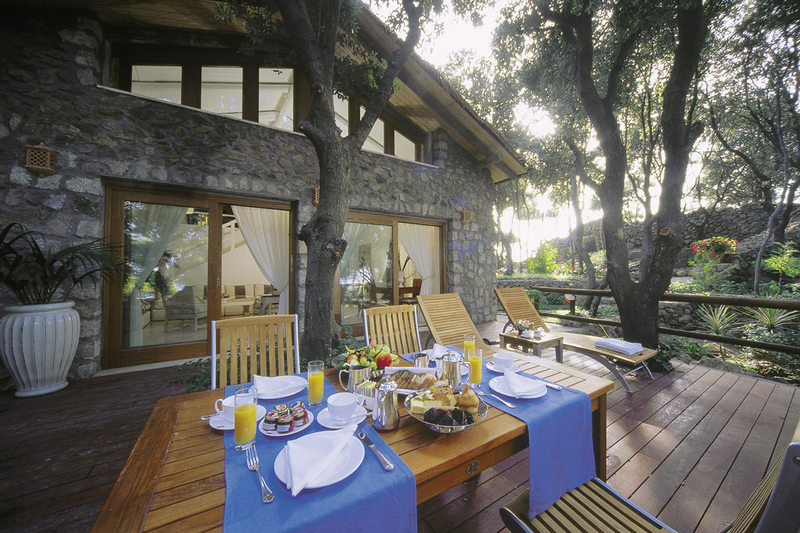 A 140sqm spacious cottage located in the park which promises total privacy and a close contact with nature. The ground floor hosts the living room and 2 bedrooms with private bathrooms. Stairs lead to an open loft with 2 additional single beds. 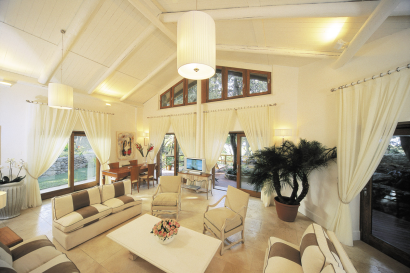 The Suite has a large outdoor terrace that leads to the private bay and the swimming pool. A 80sqm spacious suite located in the ancient tower. A large terrace of 120sqm offer a breathtaking view over the Tyrrhenian sea. A panoramic suite located in one of the highest floors of the ancient tower. A large terrace, equipped with sun loungers and umbrellas, offers a unique view over the San Montano Bay and Gulf of Naples. The Junior Suites rise in the ancient tower, offering stunning views over the hotel’s bay and the pool. All the Junior Suites have a bedroom and a separate living room. The Double Deluxe rooms are located in the tower and the cottages. 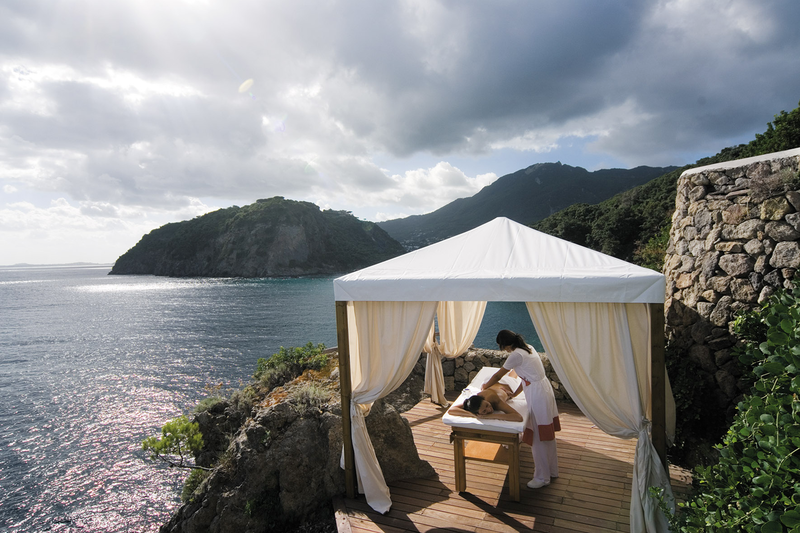 They offer a breathtaking view over the San Montano Bay. Located in the tower and the cottages, these rooms offer a partial sea view thanks to wide windows, small terraces and balconies. The rooms are located inside the cottages, surrounded by the Mediterranean maquis. They are connected to the Tower by shady paths. The Single rooms are located in the Tower and in one of the cottages. They offer a French bed and sea view’s window or balcony. 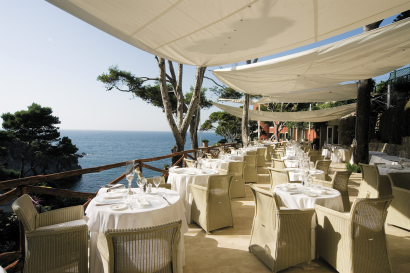 The restaurant overlooks the pool and the bay, capturing all the freshness of the sea. The locally catch of the day is prepared in different delicious ways and the traditional cuisine of Campania region – with its simple and incredibly tasty flavors, – is preserved and enriched with the personal touch of the Chef. The menu respect two fundamental rules: give the right value to the natural aspects of products and strengthen the ties with the land. The catch of the day will be always accompanied by seasonal local ingredients like mozzarella, fior di latte, San Marzano tomatoes, Sorrento hazelnuts, white melons and a lot of other delicacies. The dessert that have made Campania region famous in the world, such as babà, sfogliatella and pastiera, complete the menu. 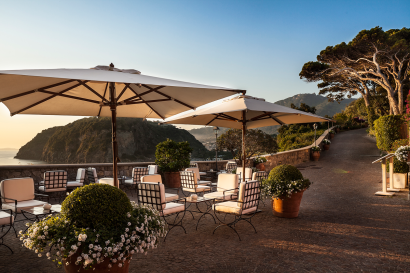 Every day, the sunset hour awakes the sophisticated Bar La Torre overlooking the Gulf of Naples. Enjoying a cocktail accompanied by the finger food of the Chef is the authentic essence of the Ischia’s Dolce Vita. The cuisine of La Torre Restaurant draws from the regional gastronomic traditions and widens its borders. Italy’s bounty of land and sea takes shape in divine dishes. The kitchen of La Torre restaurant draws on Italy’s ancient culinary tradition, and all the Chef’s favorites are always part of the menu, made with love and passion. Local cuisine – with its simple and incredibly tasty flavours – is preserved and enriched with products from bordering regions. Each dish is prepared with local ingredients, natural, strictly seasonal: the result are Mediterranean dishes, balancing different flavors and aromas, and offering a genuine taste. The reign of our sommelier is a trove of treasures. 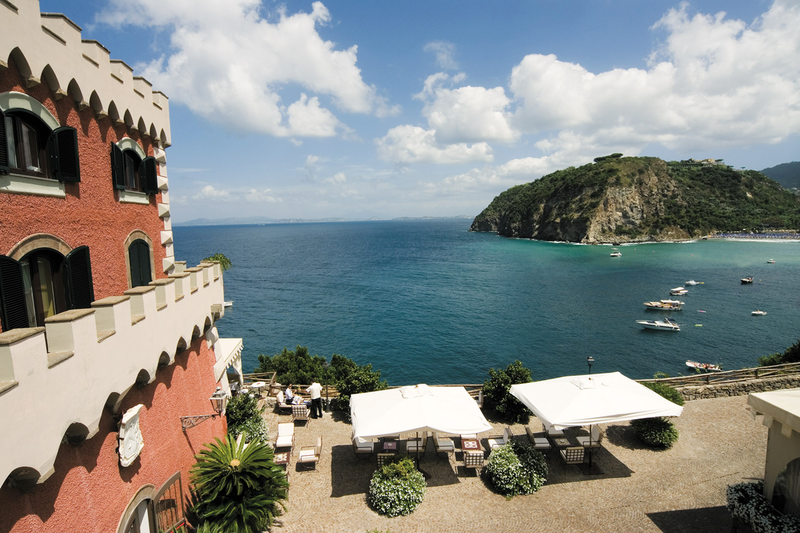 Ischia has been renowned for quality of its wine for thousands of years and the wine list aims to offer the best – and less known- wines of the island. The most famous Ischian grapes used in the production of wine are the “Biancolella”, the “Forastera”, the “Guarnaccia” and the “Piedirosso”. There are also seven types of wine produced in Ischia that carry the DOC label. 1 Thermal water pool offering a hydrotherapeutic track, 1 Thalasso-therapy pool and 1 Kneipp pool, as well as a Turkish bath with special showers and a Sauna.